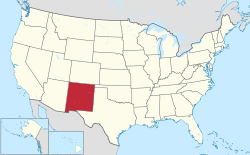 This is a list of people from New Mexico, which includes notable people who were either born or have lived for a significant period of time in the U.S. state of New Mexico or its predecessors, the Spanish and Mexican Nuevo México and the American New Mexico Territory. 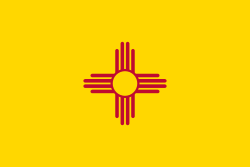 They are referred to by the demonym "New Mexican", and by the Spanish language demonym "Neomexicano" or "Neomejicano" (as well as the feminine "Neomexicana" or "Neomejicana"). John Gaw Meem (1894–1983) – architect known for his work reviving traditional New Mexican architecture. Neil Patrick Harris (born 1973) – actor, How I Met Your Mother, Doogie Howser, M.D. Michael Martin Murphey (born 1945) – author of New Mexico's state ballad, "The Land of Enchantment"
John Stapp – pioneer in studying the effects of acceleration and deceleration forces on humans, "the fastest man on earth"
Dorothy Page (1921–1989) – known as the "mother of the Iditarod Trail Sled Dog Race"
This page was last edited on 27 March 2019, at 03:28 (UTC).